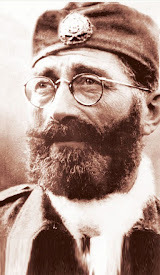 Aleksandra's Note: A special thanks goes to Vera Dragisich for posting this tribute to the legendary Serb commander, Voyvoda Momchilo Djujich on Facebook's wonderful group "Ja Sam Iz Cetnicke Familije/I'm From a Chetnik Family". 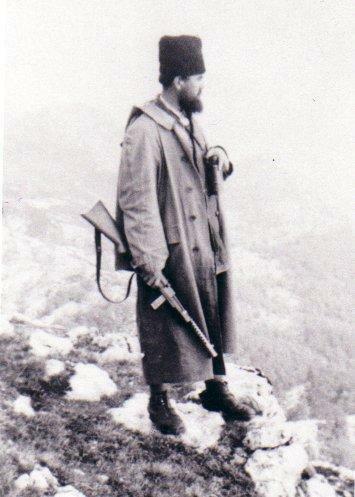 This September we are marking the 13th anniversary of Vojvoda Momcilo Djujic’s death. The article reproduced here appeared in our September 1999 issue of Serbia. With Vojvoda Momcilo Djujic’s death (Sept.11, 1999), Serbs have lost one of the relatively few leaders any nation can hope to produce: first the brilliant young priest, then the leader of uprising in Krajina against the genocidal Croatian Ustashe, then the successful resistance leader and comma-nder during World War II—and always a passionate student of the roots of human feelings. He was the ultimate Vojvoda, a national patriarch disguised as an ordinary man who made giant contributions to his people for much of this century. By the time he arrived at the Seminary of Sremski Karlovci at the age of 19, the six-foot farm boy was already seen as a man of promise. 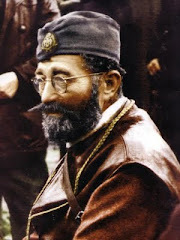 Over the next few years, Momcilo Djujic worked hard at his studies, finding time to write poetry which had an extraordinary range of thought In 1932, newly ordained priest, Father Momcilo Djujic, began his parish work in the village of Strmica, in north-western Dalmatia. There, Father Momcilo’s immense talents and energy extended well beyond his church work. 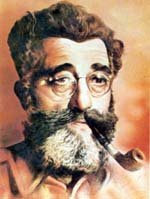 From 1932 on, his name was associated with every significant social advance in Kninska Krajina. This best known of priests taught his parishioners to believe in God and in themselves. He improved roads, irrigation, and other farming methods - a reasonable blueprint for the prosperity of his predominantly farming community. He was alert to the needs of defense of his people and over the years, as Europe darkened under the Nazism, he used his considerable skills in organizing local Sokol chapters and the Chetnik volunteers. He was a giant in the quest for human rights and equal opportunity long before it became fashionable. His place in the hearts of worker’s rights movement was assured when he organized strikes against the exploiting railway barons. 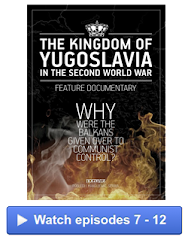 In 1937, he dissented sharply from the acceptance of Konkordat where Vatican sought special privi-leges over other religions in Yugoslavia. This almost cost him his life in later years. Like everything else in his life, all this activity was bound up with his marriage to Zorka Dobrijevic, a debutante from Topolje, who gave him all her love, her complete devotion, and three children. 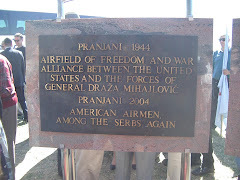 The historians will probably agree that Vojvoda’s link to greatness rests in the important role he played in organizing and leading Krajina Serbs against their massacre by Croatian Ustashe in World War II. In early 1941, as the horrors of that massacre unfolded, it seemed difficult to believe them, but that war was based on the monstrous hatred of racism and religious intolerance, where violence became the test of manhood, where humanism was condemned as weakness, raising the inhumanity to the level of a principle. 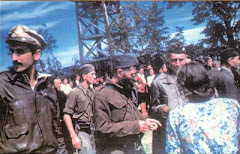 Then, on July 27, 1941, in one of the most dramatic uprisings in Serbian history, the persecuted Serbs struck back. 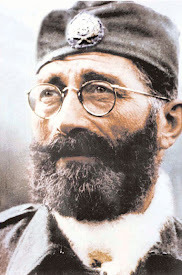 Prepared by temperament and reputation Momcilo Djujic—later elevated to Vojvoda – quickly emerged as its leader. He was a shrewd and capable commander, a cohesive and unifying force in a struggle that swiftly made him a legend. The determination, the bravery, the warmth, burned through to the core. 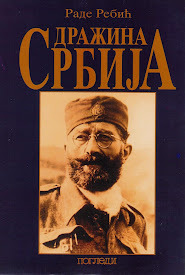 You could see it in his clenched teeth and jutted chin as he stormed the hills of Krajina. Crowds waited for him, songs were composed in his honor. We can see him in all of his many roles: fighting off Pavelic’s Ustashe, Hitler’s Nazis, Mussolini’s Fascists, and Tito’s Communists. In December 1944, we can see him limping from his leg wounds in the battle of Padjene. At war’s end we see Vojvoda Momcilo Djujic marching at the head of his now famous Dinara Division, fighting his way through the snowbound mountains of Lika. We can see his tears of bitterness as more than forty of his wounded soldiers were taken off the train in Kostajnica and murdered by Croatian Ustashe. He couldn’t believe such cowardice. In Diaspora, promptly and characteristically, Vojvoda made his mark. In America, his adopted country, the essential Vojvoda re-emerged, crisscrossing the continent, organizing, urging on his warriors, helping them believe the best about themselves. In that spirit he set forth for Australia, Britain and other countries. 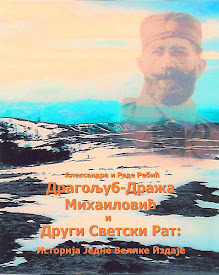 There was a sense of destiny in each appearance as he helped to plant the seed of another chapter of Chetnik’s Ravna Gora Movement, another Circle of Serbian Sisters. Strongly influenced by religion, Vojvoda held that an understanding of Bible was essential to understanding and survival of Orthodoxy - that is, our heritage. His vision, his personal commitment, inspired action in others. And others responded in kind. They built many community centers, many churches and monasteries across many continents. They are a lasting tribute to his imagination, his single-mindedness and his understanding of the needs of his people. Similarly, Vojvoda threw himself into the church unity with the same passion—he thought love and understanding were simply a better path. That activity, and his own deep patriotism—strong enough to be heard thousands of miles away—bothered Vojvoda’s enemies. 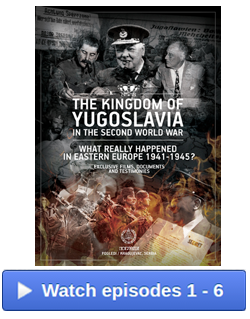 It is why the post-war communist regime of Yugoslavia tried to have him extradited. 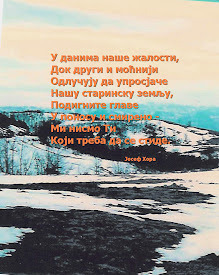 It is also why - today - so many ordinary Serbs at home and abroad are feeling bereft and diminished at Vojvoda’s passing. Perhaps there’s something ungrateful about grieving over the loss of a great figure who lived among us for over 92 years, but when the news came over the telephone it was hard not to feel a sharp sense of loss. We didn’t believe in his death, we thought he would outlive it as he outshone it. But the old heart, the old warrior, just couldn’t take it any longer. The fire from Dinara was extinguished. Let us pray that he was not the last of his kind.